The Eiffel Tower… The mere mention of its name invokes a feeling of romance and the thrill of Paris. It is easily one of the most identifiable structures in the entire world. When you go to Paris for the first time, you go to see the Eiffel Tower. Sure, there are other amazing things that Paris has to offer like the Louvre, Versailles, Notre Dame, and Sacré-Cœur but you go to experience the Eiffel Tower. 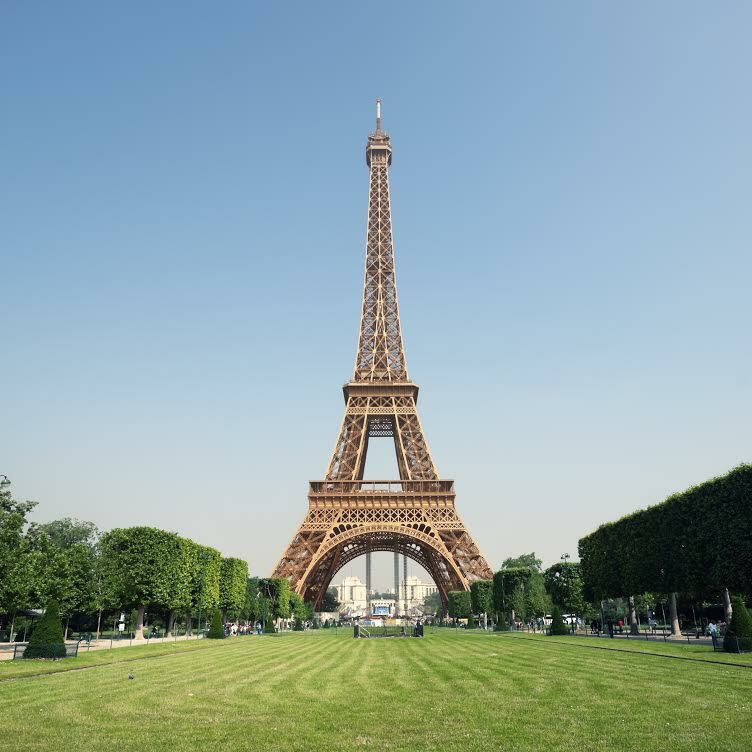 The Eiffel Tower was built by Gustave Eiffel for the 1889 World’s Fair in Paris. Construction started in 1887 and finished in 1889. It’s been drawing people to Paris to see the sight ever since. The structure is 1,063 feet tall and for 41 years it was the tallest man-made structure in the world. There are two ways you can get to the top; you can take the lift from the bottom or you can climb the stairs for the second level and take the lift to the top level. The line to climb the stairs in usually A LOT shorter however, you will be climbing 704 steps – talk about getting your workout in! Did you know that the Eiffel Tower was used as an advertising space for Citroën cars? It was the world’s tallest advertisement from 1925-1934. For 41 years, the Eiffel Tower was the tallest man-made structure in the world until New York City’s Chrysler Building took the throne in 1930. There are two restaurants located within the tower, Le 58 tour Eiffel and Michelin rated Le Jules Verne, both of which are worth trying at least once. Go ahead, give in to your inner tourist and go explore the Eiffel Tower, over 250 million people have! Many of our European tours include a trip to Paris to see this iconic structure. If it’s something you’ve been considering for a while, you should get most of a trip to Europe and join a European tour to see more historic structures in countries like England, Italy, and Germany. All of these countries have iconic places to visit and learn about, similar to the Eiffel Tower. Be sure to check out more of what our European excursions have to offer, including Versailles and the Tulips Fields of Holland! Our 2014 trip dates have been posted. Take a friend and both of you get $100 off certain AESU tours! Take a look at our deals page to see what other great offers we have! So, what are you waiting for? The trip of a lifetime awaits you. This entry was posted on Friday, May 2nd, 2014	at 1:40 am	. You can follow any responses to this entry through the RSS 2.0	feed. Both comments and pings are currently closed.